If you haven’t been at Lodge in a while, we have been busy and having a lot of fun. I thought I would take just a little time to update the members on what has been going on. In addition or our regular business and education at February’s meeting, we invited Brothers to stay after for a thought experiment. It was a deep a conversation about what we as individuals seek and the value we get from the Lodge and Freemasonry. We invited Brothers from other Lodges as well as men who are currently in the process of petitioning our Lodge, to get as many viewpoints as possible. We had eighteen men stick around or come by for this conversation: friends, petitioners, EAs, MMs and PMs, all engaged and contributing. It was a great night with follow on conversations lasting until well after 1:00 A.M.
We hit the ground running as one Brother summed up what he valued in lodge with a single word “Security”. The group quickly unpacked “Security” to include: relationships that we can trust and count on to follow through when commitments are made, knowledge that our families had someone they could reach out to when they were in need, and a safe place to express and explore our thoughts, to learn and grow. 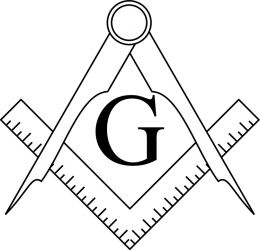 Of course conversation, concepts, and ideas are all well and good but we as Masons are called to work and to build; we Brothers are called to action. To answer that call we have selected two items from the long list of events and ideas that were recorded that night to act on. First, from the Fellowship Activities exercise, the idea of a Camping Trip resonated with a number of the Brothers. It just so happens there is a Masonic camping opportunity not to far away this summer where we could fellowship with our own but also spend some times with Masons from other jurisdictions. Check out www.campmasonry.com. The event is Aug 9 -12 in Toledo OH, at the oldest operating Boy Scout camp in the US. See Brother Duane or Wes if you are interested in attending or helping with this. Secondly, the idea of a single number to call for support\ride\mental health came up as we worked through the List of Mentors exercise. This had been something a few of us had discussed in regards to providing for our Widows and to have it expanded to our membership makes perfect sense. Brother Shawn and myself have taken this on and will be unveiling the Program at our April meeting and sharing with our Widows at our Annual Widows Luncheon in May. We will continue our conversations on value and what it means to our members. Please feel free to add your voice and thoughts as we continue to bring more value to the lodge. March has been a busy month for the Lodge as well. We Passed a brother to FC, celebrated St. Patrick’s day with our families, attended the Grand Lodge’s presentation on the new 2020 Initiative, initiated a new candidate at our regular meeting, packed almost 400 boxes of food with I92 Ministries to assure food insecure students had meals over spring break, and attended the District elections for DDI & BGP in conjunction with the Legislation meeting in preparation for Grand Lodge Annual Communication in May. At our March Regular Communication Brother Brian presented a lecture on perception and tolerance. Brian reminded us to not just memorize by rote but to act on the teachings of Freemasonry in our daily lives. 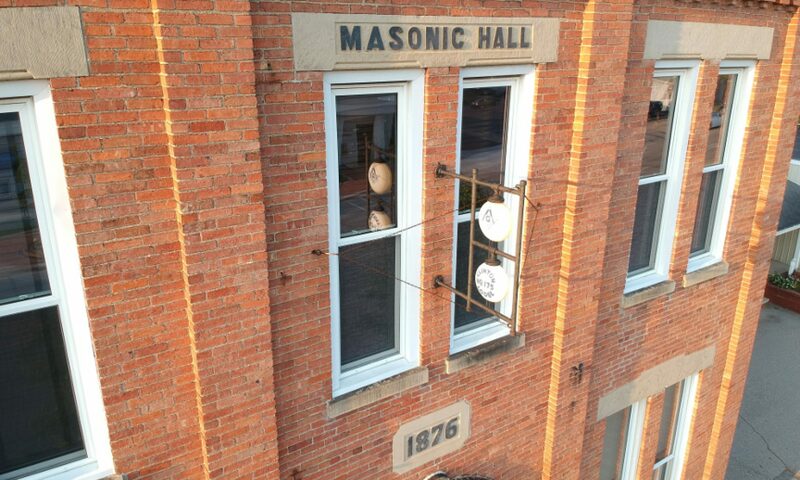 Brother Brian did an excellent job of taking the speculative Masonry we hear and see in Lodge and making it operative for our use in our daily lives. I personally am looking forward to what he has for education in April. Speaking of April, our final Charity Poker event is April 5th through the 8th. Brother Paul is still looking to fill a few slots so if you have any availability during that time please reach out to him. Brothers, this event allows us to do a tremendous amount of good in our community and the last couple months we have struggled to fill the time slots. The state has very strict rules regarding this and I for one would hate to see it go away due to lack of participation. The effectiveness of this fund raiser allows us to: provide three $1500 scholarships to the Seniors of Clinton High School, partner with I92 Ministries to feed hundreds of students annually in Lenawee county, support the homeless student program overseen by the LISD, and many other laudable undertakings to the tune of almost ~$14k invested in our community in 2017 and we are on track to do that again this year. Finally, don’t forget Brotherhood Night, hosted by our Junior Warden and Stewards on April 11th @ 7:30 P.M. If you haven’t been to Lodge in a while it would be a great way to reconnect with your Brothers. If you need a ride to an event or just want to check-in, let us know!